Webinar will be followed up with a theory assessment via Survey Monkey, which will have both multiple-choice objective and short-answer subjective questions. This is not expected to last more than 15 minutes. 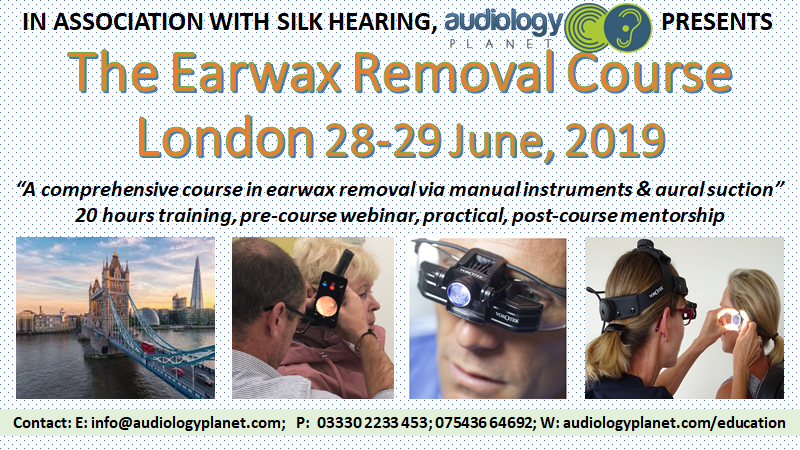 The purpose of this test is to explore delegates knowledge and understanding of the concepts of earwax removal related theory and practical information. a) Delegates who have not completed the pre-course assessment, at least three days prior to commencing unit 3, may not be allowed to attend unit 3. During this TWO-DAY unit, delegates will cover a range of theoretical and practical scientific principles directed at providing safe and effective earwax removal via aural suction and instrumentation. Each delegate will be assessed on practical skills during the face to face course, which will be mainly directed at assessing requisite knowledge and safe practical skills when treating volunteer clients. Logbook: Each delegate must record at least five cases in three months following the face-to-face training in the logbook provided. Where possible, try to have a variety of cases in this where you have had to make different individual decisions on the client’s earwax. Post-course webinar (A two-hour presentation 18:45 – 20:45 three months following the course): discussion based on log book and case reviews. Webinar will offer further mentorship essential for development as a confident earcare provider, to build on the newly developed skills, and identify any gaps in learning. This will complete the circle of providing safe care to the client and personal develop as a hearing healthcare professional. A certificate of competence will be issued on satisfactory completion of all five units.